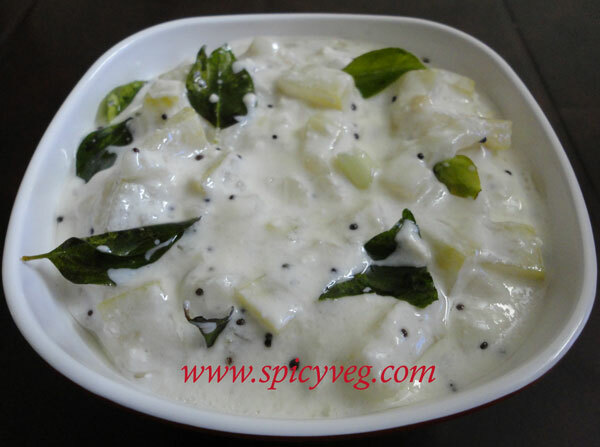 A simple and tasty pachadi with Bottle Gourd. 1. Peel and chop the bottle gourd into small pieces. 3. Add the bottle gourd pieces along with green chillies, ginger, curry leaves, salt and little water. 4. Cook for a minute or two and switch off the flame. 5. Grind the coconut and add to the curd. 6. Add the bottle gourd mixture and stir well. 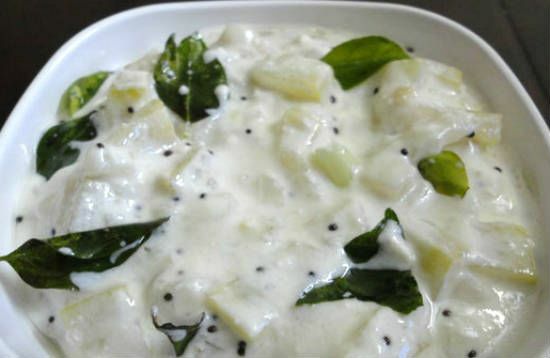 Feel free to comment or share your thoughts on this Sorakkai (Bottle Gourd) Pachadi Recipe from Awesome Cuisine.